Warning: I am able to write to the configuration file: /var/chroot/home/content/28/3862228/html/ESTORE/catalog/includes/configure.php. This is a potential security risk - please set the right user permissions on this file. 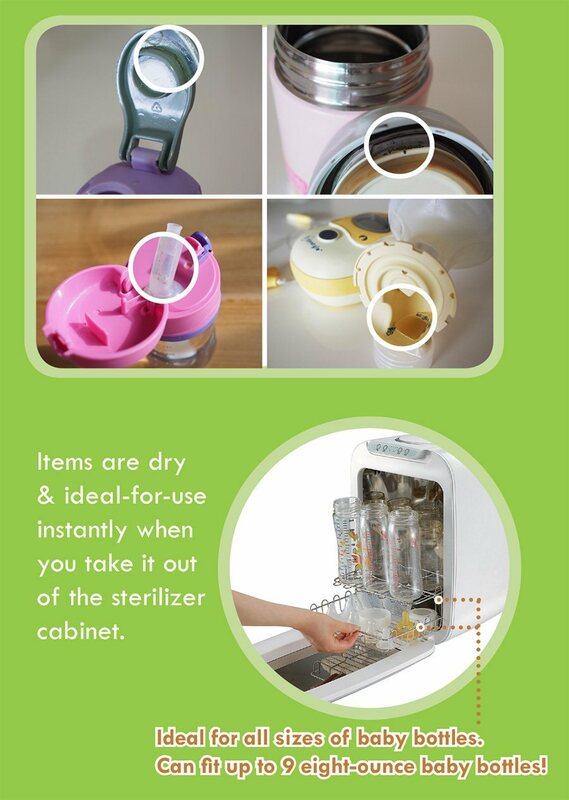 √ Effectively stores your baby bottles & accessories with deodorization/ventilation effect. √ 3M HEPA filter blocks away air-borne dust & particles. 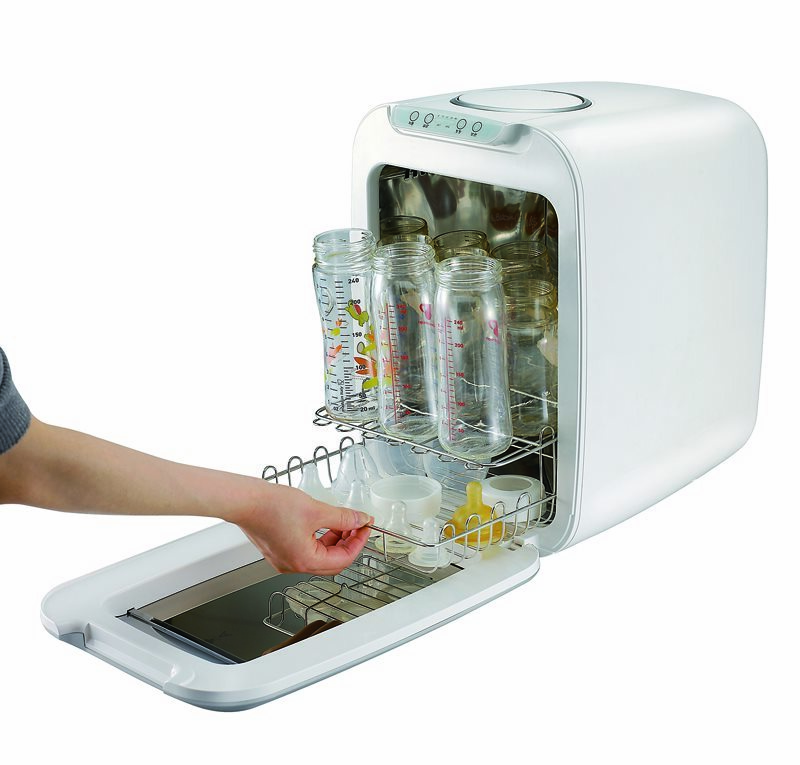 √ The compact size saves you kitchen counter-top space. √ Easy & intutive course settings and design - makes it easy for elderly to use too! 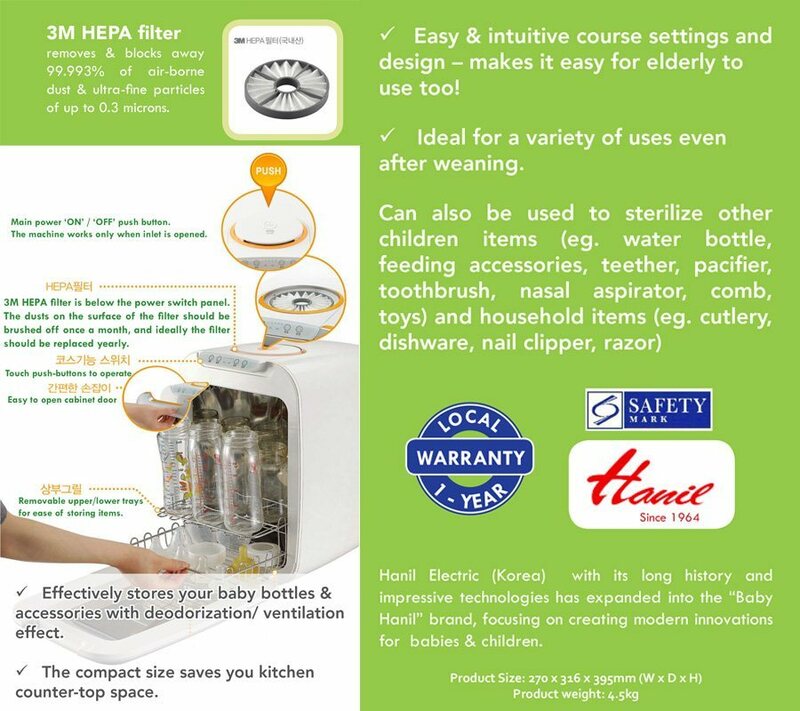 √ ideal for a variety of uses even after weaning. 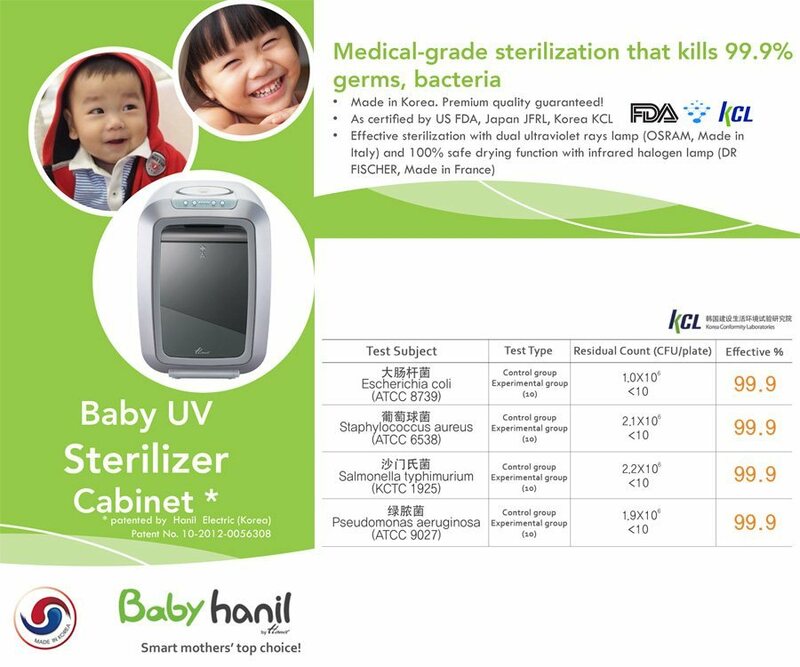 Efficient & convenient sterilization mode for busy parents. No need to constantly load water into steam sterilizer or spend time boiling the traditional way & manually dry items on drying rack after boiling. UV sterilization uses pulses of UV light that are powerful enough to inactivate microorganisms (germs, bacteria & viruses). UV sterilization is often used in the medical field as it ensures the highest level of disinfection. No need to regularly use lemon water to descale the deposits that accumulates within electric steam sterilizer machines and around its heating coil. Simply use slightly damp cloth to wipe trays and internal surface areas of sterilizer cabinet, whenever necessary. Excellent drying function via infrared technology prevents mould accumulation. Examples where mould tends to occur are: on teat collar, insides of a sippy cup straw, inside rims of a child’s water bottle, breast pump tubing, breast pump valve parts, toothbrush, etc. With 3-pin fused main plug (SPRING Safety Mark), for Singapore/ Malaysia/ Hong Kong use. 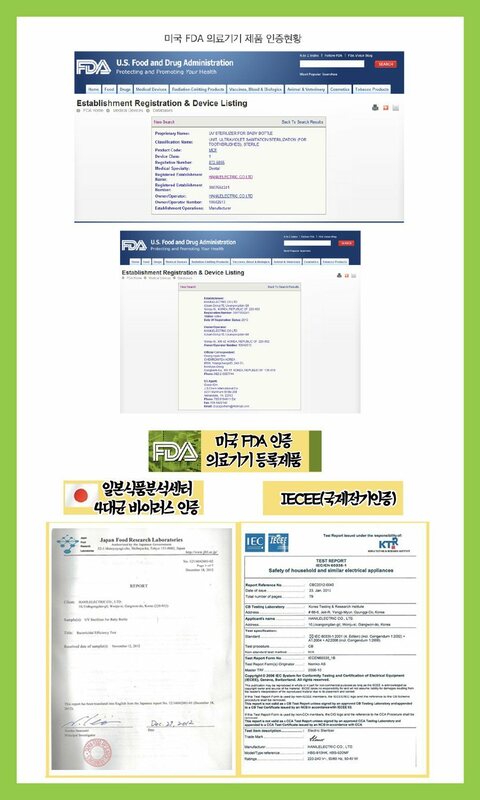 Can also be used to sterilize other children items (eg. water bottle, feeding accessories, teether, pacifier, toothbrush, nasal aspirator, comb, toys) and household items (eg. cutlery, dishware, cups, knives, cutting boards, nail clipper, razor). This product was added to our catalog on Saturday 26 July, 2014.